In past years, I used to use the automotive industry as a case study to illustrate the dynamics of industries where VC financing didn’t make much sense. Why aren’t there lots of VC-backed companies, I would say, pioneering innovations in brakes, internal combustion engines, power steering, and tires? The auto industry is rife with innovation (such as this fuel injection system driven by a piezo ceramic actuator) but for years, most of these innovations have originated within the large automakers or within large auto parts suppliers such as Delphi and Continental. The auto industry wasn’t right for VC investing not because there was a lack of innovation, but because the locus of that innovation had shifted away from private garages and into the laboratories of large corporations. The locus of innovation can shift away from start-ups and towards large corporates for a number of reasons. In the case of auto industry, it has a lot to do with very long product design cycles, extraordinarily high distribution costs that drive consolidation, the relatively incremental nature of most automotive innovation, and the ability to fund innovation with corporate earnings as opposed to (much more expensive) venture capital dollars. All of these factors combined to make it nearly impossible for a start-up to succeed in the automotive industry. Enter Tesla. Today, I came across this excellent article in Earth2Tech in which Katie Fehrenbacher makes a powerful argument for why the Tesla is so important despite the overblown hype, despite the widespread expectation that the stock will underperform, and despite some real challenges in the company’s operational plan. Tesla’s recent IPO, she argued, showed that public markets are willing to reward early stage investors in next-gen automotive with solid returns and are willing to take on some very real risks themselves in order to have a shot at long-term returns. Tesla’s IPO is a shot in the arm for those entrepreneurs and investors willing to bet on a challenging new industry, and offers the first evidence that the VC model can work in an industry that hasn’t seen a successful VC investment for as long as anyone can remember. Could we see a number of VC-backed automotive IPOs in the years to come? It’s no longer as crazy as it would have sounded just a few months ago. Focus on innovation. The case of Tesla is, for me, a timely reminder of the basics of the VC industry. 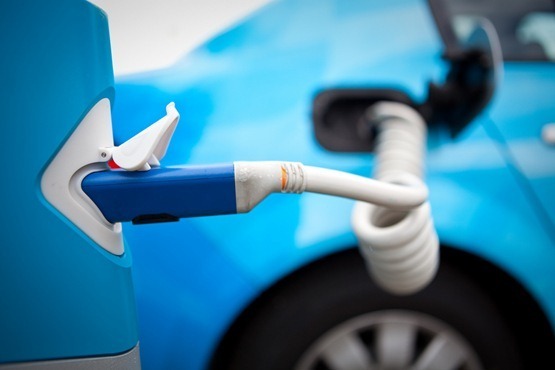 The emerging electric vehicle eco-system is a massive discontinuous shift in the automotive sector – and it creates the opportunity for start-ups to take share from incumbents and upset the supply chain. VCs can make money whenever there are such discontinuous innovations that create real value – regardless of which industry they are in. Tesla is such a case. Even in Israel, there are a number of automotive companies that stand a very good chance of generating VC-style returns: Better Place, Mobileye, and ETV Motors come to mind. Generating VC returns in industries with few acquirers and long development/sales cycles is difficult, but its not impossible, and those opportunities shouldn’t be ignored. Telsa illustrates how the locus of innovation can shift away from the corporate lab and back into the garage. 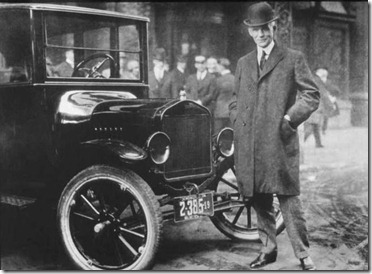 But Henry Ford started in a garage too. The Model-T was the FourSquare of its generation. It’s becoming clear that many of the sectors that sustained VC returns (telecom equipment, semiconductors, traditional licensed enterprise software) in the 1990s have failed to do so in the 2000s. In almost any industry, growth inevitably slows, consolidation occurs, and – sometimes – the innovators leave the garage. Posted by gdibner on Tuesday, July 6, 2010, at 8:10 am. Filed under Uncategorized. Follow any responses to this post with its comments RSS feed. Both comments and trackbacks are currently closed.